Increase your knowledge, credibility and network! Distinguish yourself and gain a competitive advantage! In this course, you will gain a new understanding of the challenges facing your customer: the apartment manager. You will Increase your effectiveness as a Supplier Partner by understanding the goals of the multifamily professionals you serve. Plus, build partnerships by networking during group activities and assignments! The CAS curriculum is drawn from the CAM (Certified Apartment Manager) course. Therefore, you will share the learning process with onsite professionals. 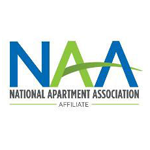 You will add value to the classroom by sharing your experiences as a multifamily supplier who meets with hundreds of apartment managers.